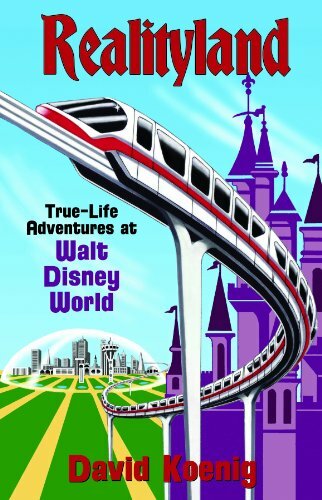 Realityland: True-Life Adventures at Walt Disney World takes the first-ever in-depth, unauthorized look at the creation and operation of the world's most popular vacation destination. Step backstage and witness: Walt's original plans for Disney World and how his dreams completely changed in the hands of his successors... His undercover agents who secretly bought 44 square miles of swamps... The chaotic construction and frantic first years of the Magic Kingdom... The underground caverns that wind beneath the theme park... Disney's unconventional, initially disastrous foray into operating its own hotels... The behind-the-scenes machinations that led to EPCOT Center... How safety and security are maintained on property at all costs... The tumultuous change of leadership that turned the cherished Ways of Walt upside down. Join David Koenig, author of the best-selling Mouse Tales: A Behind-the-Ears Look at Disneyland, on Mr. Disney s wildest ride ever.